The Nice France beach attracts scores of tourists each summer, who take advantage of the region's public and private beaches as they enjoy their summer holidays. The seaside, located along the coast of the French Riviera or the Côte d'Azur, is one of the trendiest and most popular beaches in France, featuring beautiful pebble beaches, plenty of sun beds and umbrellas, an endless stream of water activities. 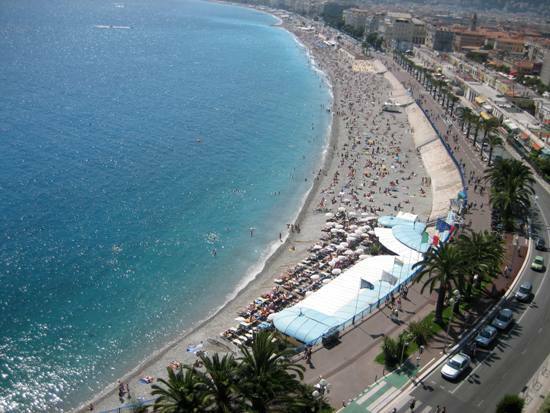 Most of the beaches in Nice are located along the Promenade des Anglais and the Rauba Capau. The private beaches, which require the purchase of entry tickets, feature stores, souvenir shops, kiosks, and terrific French cuisine and wine in sumptuous beachside restaurants. 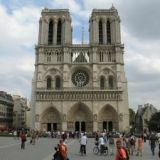 However the Nice France beach is not the only reason so many people are attracted to the area. Nice is the largest city along the French Riviera and easy to get to by train from Paris, with at least six fast trains arriving per day. Next to Paris, Nice also offers the largest choice of hotels and apartments, with accommodations to suit every visitor and fit every budget. Furthermore, at the end of each July, the Nice Jazz Festival (which began in the 1940s) attracts hundreds of tourists from all over Europe. If you are a music lover, you will love Nice, which also hosts Musicalia - a music and dance festival that takes place throughout the summer. 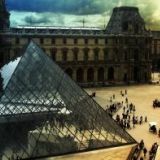 For a more sophisticated taste, you can also go to the opera and listen to classical music concerts held at the Clôitre du Monastère de Cimiez. Need something to wear when you go to your favorite Nice France beach? No problem! Nice has plenty of shopping venues where you can buy clothing, swimwear, souvenirs, and other merchandise. Furthermore, Nice is home to many luxury boutiques and stores where you can purchase designer clothing and fine wine. And even if you are not usually an early morning riser, you're going to want to get up early at least once to experience the famed Cours Saleya Flower Market, which is open every morning and where you can buy fresh flowers, spices, olive oil, French breads, fragrant dried flowers, souvenirs, and more. If you are interested in buying some property next to a Nice France beach, you are not alone. Nice has increasingly become the crown jewel of the French Riviera, hosting many celebrities and rich Europeans who seek an escape from the harsh winters of their own country. In fact, historically, during the 1800s Nice was the favorite spot of the Victorian elite. With its Mediterranean climate, warm, sunny summers, and mild winters, you can't go wrong buying property in Nice, France!